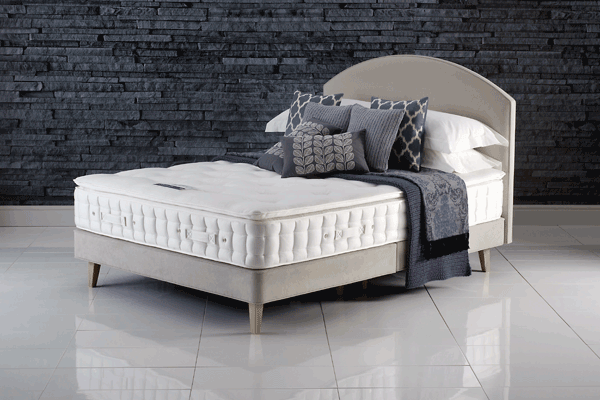 Each Hypnos bed is individually handmade by master craftsman and customised to personal tastes and needs. 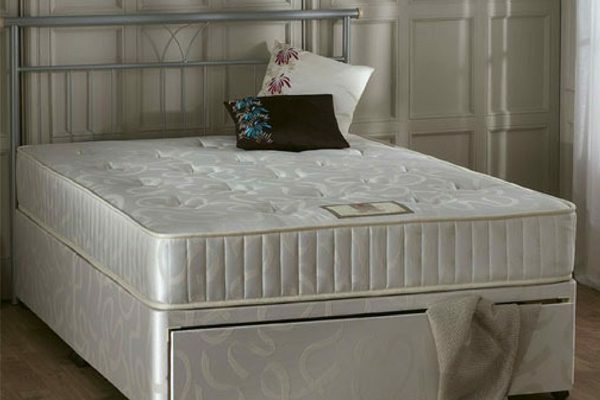 Proud holders of a Royal Warrant, Hypnos’ unrivalled ‘best of British’ quality is reinforced by a 10-year guarantee and a reputation for making the most comfortable beds in the world. 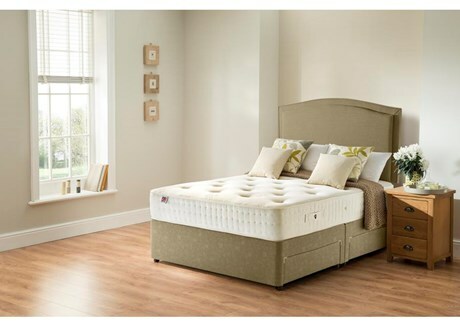 The Pillow Top Aurora provides a sumptuously soft and breathable cushion of wool above the supportive mattress. 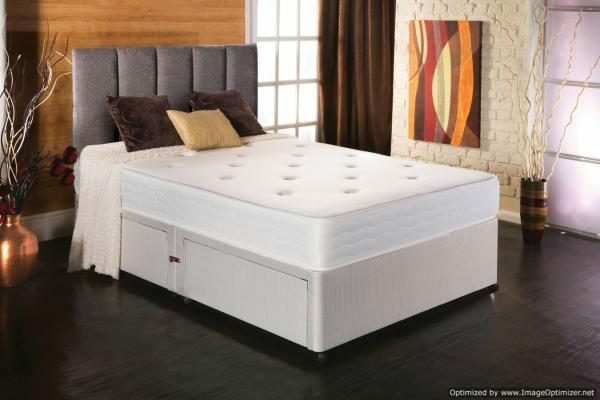 Featuring patented 37.5® active technology it helps keep the body temperature to stay in the perfect comfort zone for the most comfortable night’s sleep. 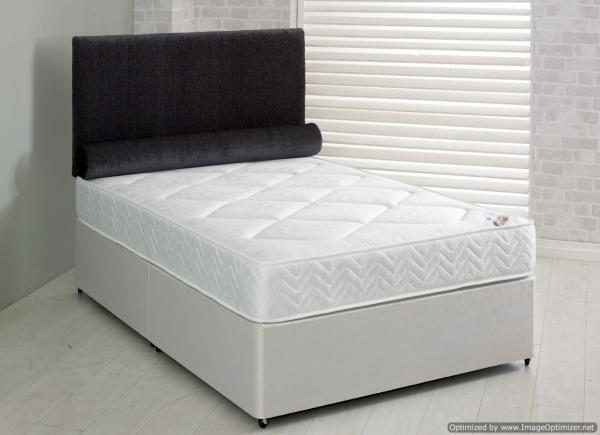 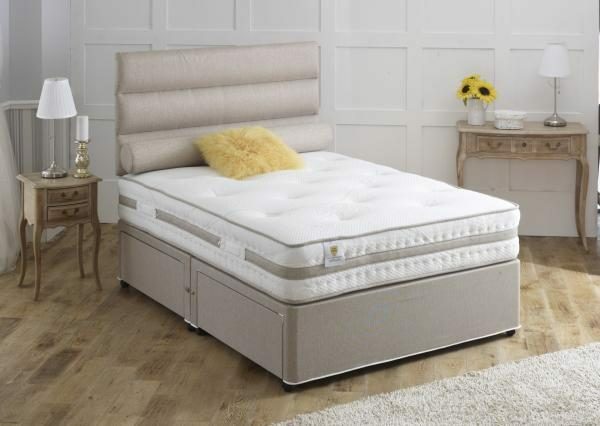 This luxury no turn mattress features a ReActive™ pocket spring system, where each ReActive™ spring has 6 active turns – which independently and actively senses your shape and weight distribution, providing comfort and total spinal and body support. 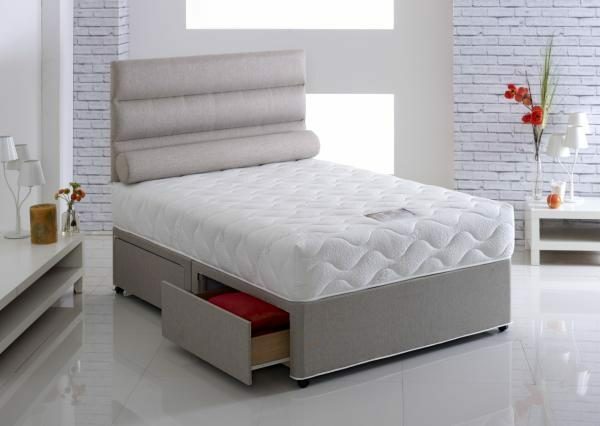 The sleep cover on the mattress is infused with a chemical free, plant based treatment for added peace of mind to meet fire retardancy standards. 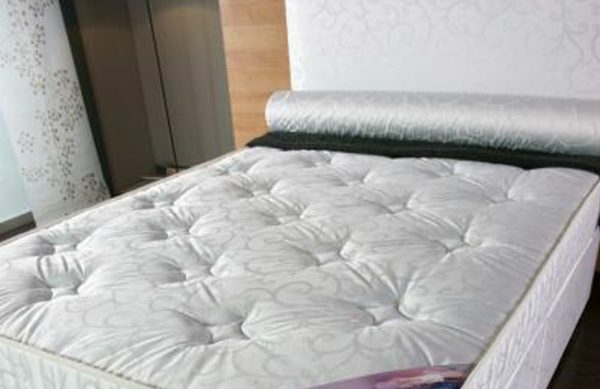 The mattress is traditionally made and hand tufted for long lasting comfort. 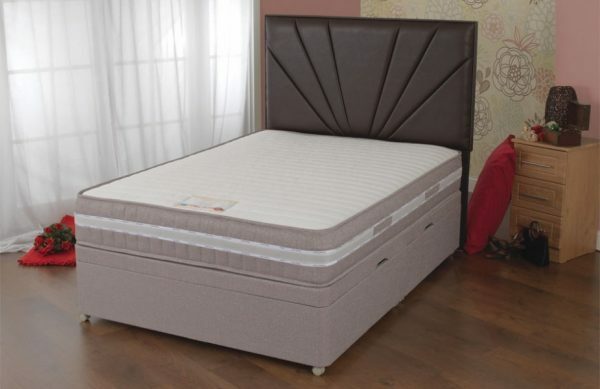 It features 2 rows of genuine hand side stitching for true edge-to-edge support allowing you to fully use the whole sleep surface. 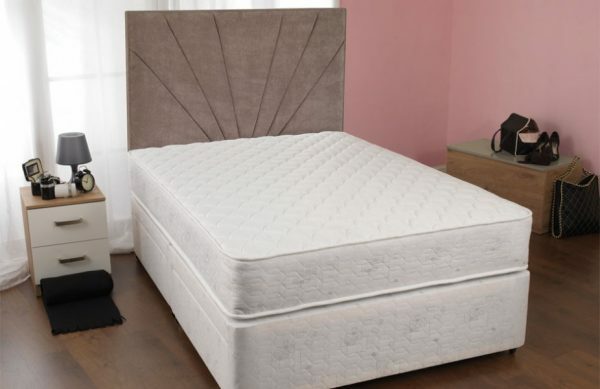 Each and every luxury mattress is made bespoke to you and is meticulously hand built to bring you comfort, relaxation and pleasure. 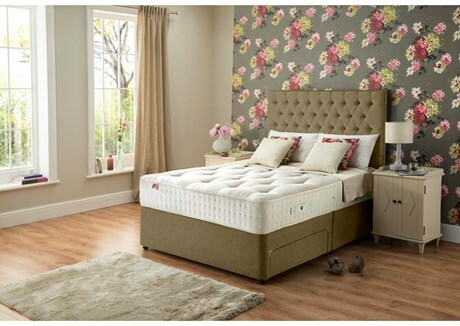 You will never own a more comfortable and more beautiful bed. 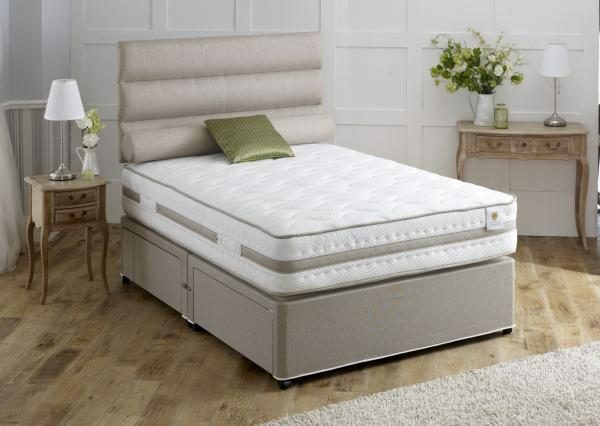 Select a storage option to suit you: standard drawers, a hidden safe, SuperStorage™, HideAway™ divan base or an EasyStore™ drawer for maximum storage. 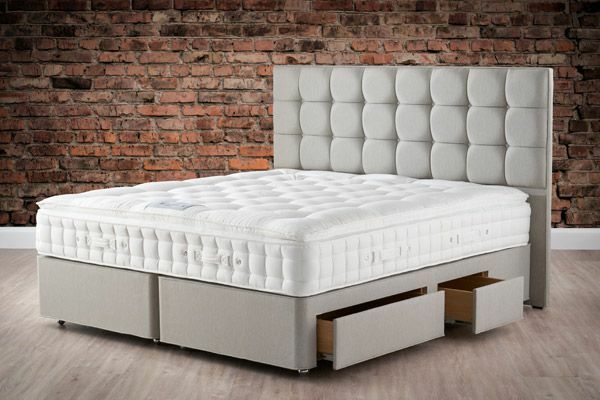 Showroom only, please call for more details and storage solutions.